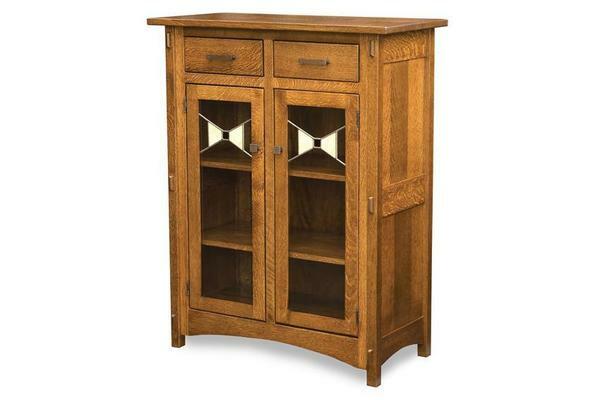 The Amish Crestline Cabinet is handcrafted to perfection! The divinely handmade cabinet is perfect for storing and protecting all of your necessities; from kitchenware, food, wine; to files, books and other documents. For even more elegance, optional stained glass doors are also available. Cabinet is shown with stained glass doors, with #108 glass.